Hi everyone. I'm a big Mirror's Edge fan and I've been doing maps since 2011. I've decided to try to make something like the map Stark Concrete since it's my favorite one. This is the result, a new map for Mirror's Edge supporting Ambient Light and HDR and it's called Redix. Hope you like it and have much fun playing it! If you find ugly things like the red boxes then let me tell you that I'm aware of that. Oh and as I can't speak russian I'll have to write in english. Hope you can read/translate it! В общем, вопрос: Могу ли я заменить свою карту обучения на эту, а если смогу, то где лежит эта карта? Did you set the resolution of materials to 1.0? You don't have to set it to 1.0 if the area is shadowed and no light hits it, and areas that never get light, put the highest res (6550? ), and uncheck the bAcceptLights boxes. Not problem. I am very bad say English too. But i think my Russian friends can answer my question. I don't really understand what you mean. :/ If you have downloaded my map, make a backup of the folder SP00 that is in Documents/Mirror's Edge/TdGame/Published/CookedPC/Maps/ and paste the downloaded SP00 folder with the map in here. Then you just have to start the Time Trial map Playground One. It wont replace anything. Just delete it when you want to play the original Playground One Map. I don't know if you have noticed but the map are just 2 big static meshes.One static mesh is the red boxes and the other one is the walls. I rendered the shadows with 3ds Max on a 2048x2048(that is of course way too small for so many boxes!) sized TGA file which I then imported to UDK. The whole map was done in 3ds max not UDK! And by the way could you tell me where i can find the resolution of material to 1.0 and where the checkbox of bAcceptLights is? And also what do you mean with putting the highest res of 6550? the material is 2048x2048 like I said because it would take ages to render and I already rendered it on low.. Thanks for your compliment. I don't know if you have noticed but the map are just 2 big static meshes.One static mesh is the red boxes and the other one is the walls. I rendered the shadows with 3ds Max on a 2048x2048(that is of course way too small for so many boxes!) sized TGA file which I then imported to UDK. The whole map was done in 3ds max not UDK! And by the way could you tell me where i can find the resolution of material to 1.0 and where the checkbox of bAcceptLights is? And also what do you mean with putting the highest res of 6550? the material is 2048x2048 like I said because it would take ages to render.. Thanks for your compliment. I thought this was made with BSP brushes... You select a wall (BSP only) and click F5. My map made good use of it (see the New Stream map post). And I would suggest you to do it with BSP brushes, it will speed up the process. Also, the sun light renders pretty fast with BSP brushes, and even static meshes in the editor. Salocin, you dont understand me. I want replace level 0 map(tutorial/learning level). For that am must know name this map in directory Documents/Mirror's Edge/TdGame/Published/CookedPC/Maps. You understand me? Can you answer my question? Как это можно было не угадать? Не саветаю земениат туториал уровень, у нево кажеца ставится Gamemode: tutorial automatically. Wait you rendered the lighting in 3ds max not in the editor? That's not how it's done. Haha, yes I rendered it with 3ds max. I just checked your map and it looks great but I want to achieve ambient light if you know what I mean. ^^ Like red color bounces on a white wall. And I'm more into making maps like the original DLC for Mirror's Edge (easier). Did you see my Factory map on youtube? It's 2 years old and I can't remember how I did it. Salocin, you dont understand me. I want replace level 0 map(tutorial/learning level). For that am must know name this map in directory Documents/Mirror's Edge/TdGame/Published/CookedPC/Maps. You understand me? Can you can answer my question? I think I understand you now. The main tutorial map (not time trial, the main story tutorial map) is called Tutorial_p.me1. Is that what you wanted to know? Yes that's where my inspiration came from to do this map. I wanted to do something like that, I even used the same material for the wall cause I simply couldnt find anything as good as that. That's why I rendered it on 3ds max cause I remember how edgie (the maker of stark concrete) wrote a post about it long time ago how he made the Stark Concrete map. Edgie used 4096x4096 sized materials (the double of mine) and I think he probably rendered it on highest. You can do ambient lights using normal lights in UDK/UE/Mirror's Edge editor. I don't think you need to render it at all in 3ds max. +Faith gets colored lighting from any static mesh which has lights. Also, there are light channels, you can check it out. 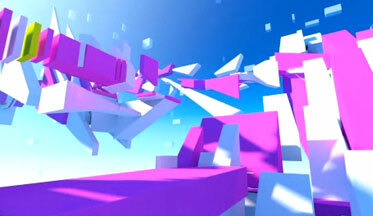 Also the bouncing ambient lights in the level Heat, was made using UDK's lights. (easier). Did you see my Factory map on youtube? It's 2 years old and I can't remember how I did it. Yes I have, but you didn't have lighting? Just a skylight? Yes I think I had a Skylight and Light Points in that map but I can't check it out cause I don't have the map anymore. Well I can't find it on my PC I must have deleted it or somehow.. Here's a tip: never put skylight unless it is set to a channel to correct a mesh's lighting. Skylight makes the level look dull. by the way - 4shared.com required registration for download..
=== About global illumination and "Beast"
But what I was talking about are light compositions, it is a bit time consuming thought (you can see them on my map). You can place a directional light, set to an outdoor channel so it won't touch the interiors, and another directional light with a skylight (make it channel specific and very weak as well) to produce the blue shadow. And if you want light bouncing, place an area light or a point light. But what I noticed is that when I went up to a blue wall in my level, Faith got the blue color from the walls by default with no lights.